The Insulated Cup accompanies the child outside the home, helping to keep the temperature steady for longer. 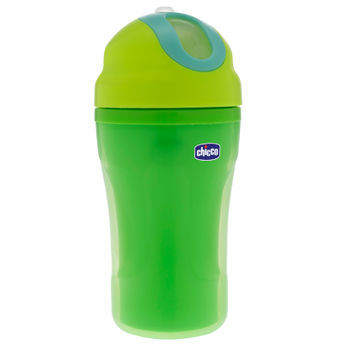 The soft silicone straw folds into the lid to remain clean during carrying. The bottle helps to maintain the temperature of liquids for longer. The ergonomic shapes help the child to carry and grip. The non-drip valve reduces the risk of leakage.